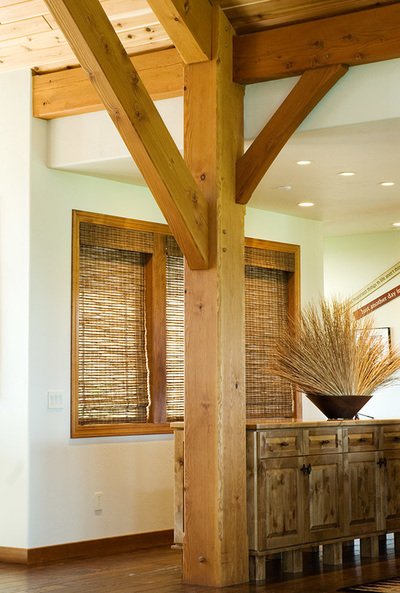 Our custom framing work is designed to bring out the integrity and beauty of your home. 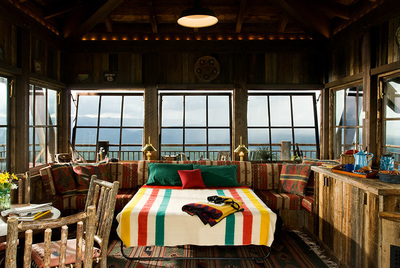 And beauty comes in all sizes. 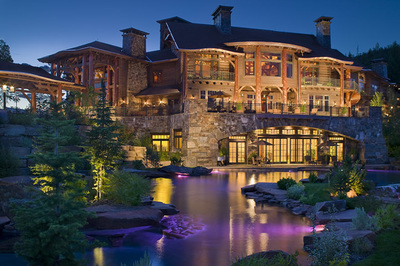 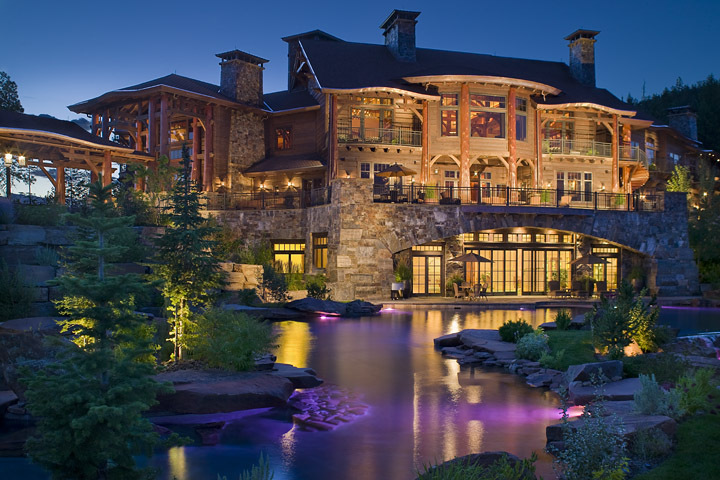 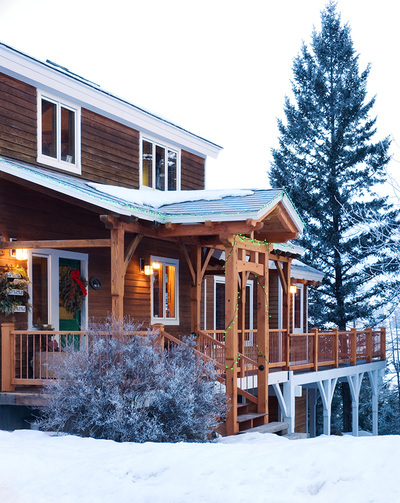 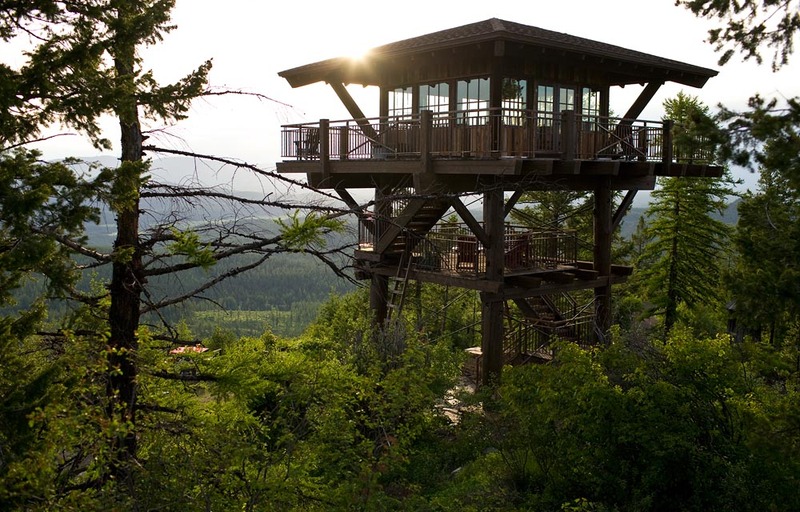 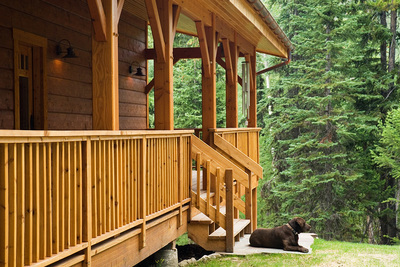 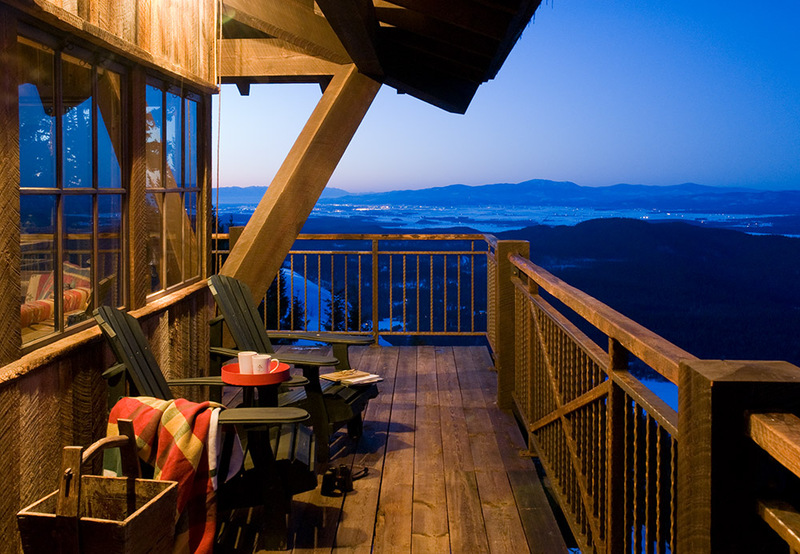 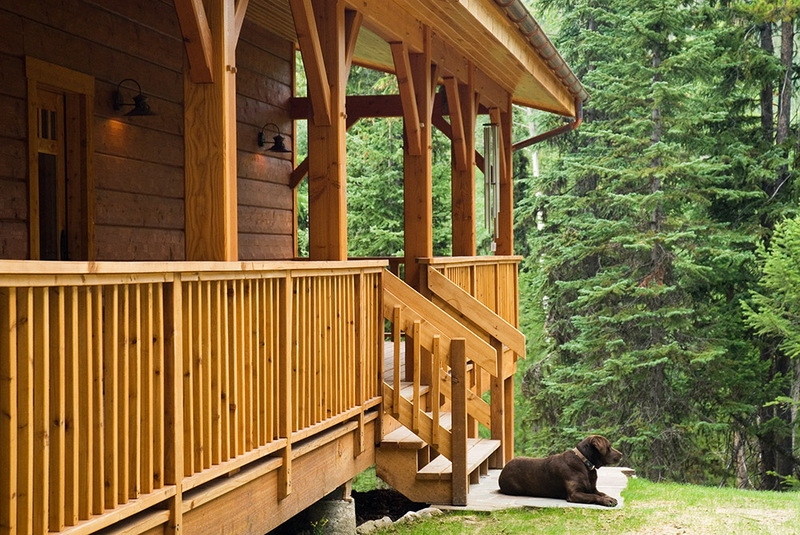 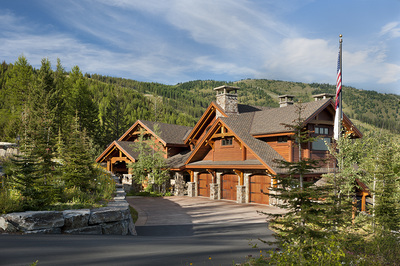 Whether it's a cozy 500 square-foot cabin or a grand 13,000 square-foot estate, we put our full heart and soul into each. 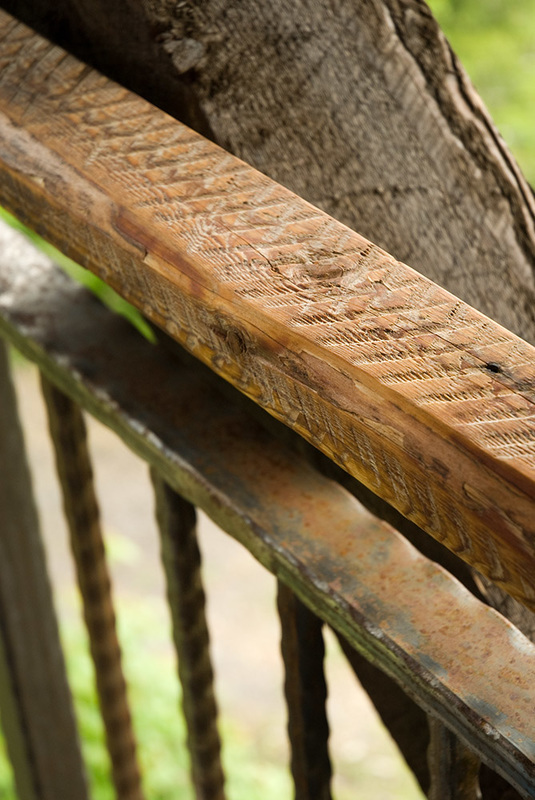 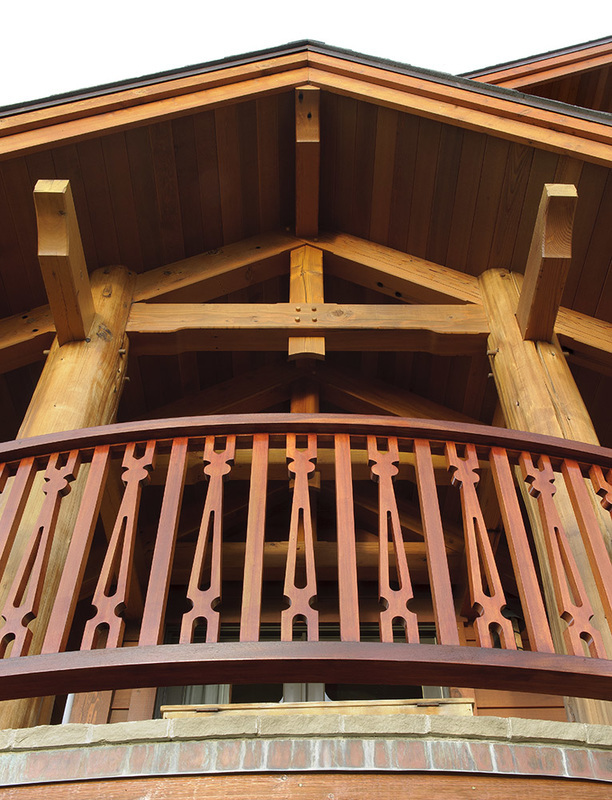 Every handsome, handcrafted detail gives your home unique distinction. 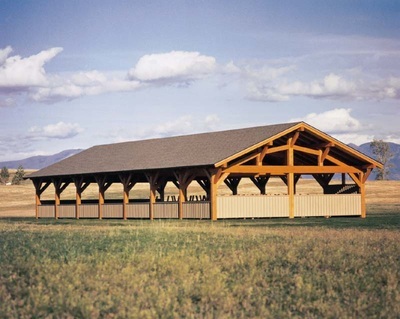 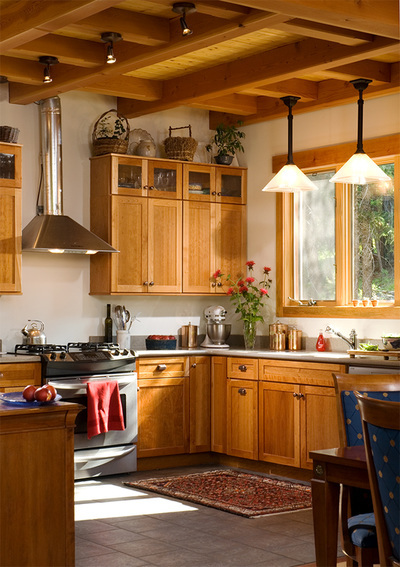 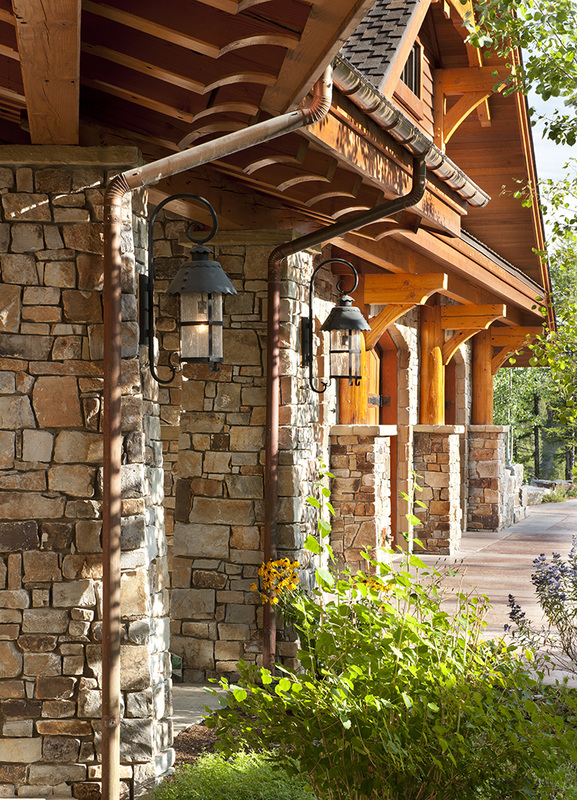 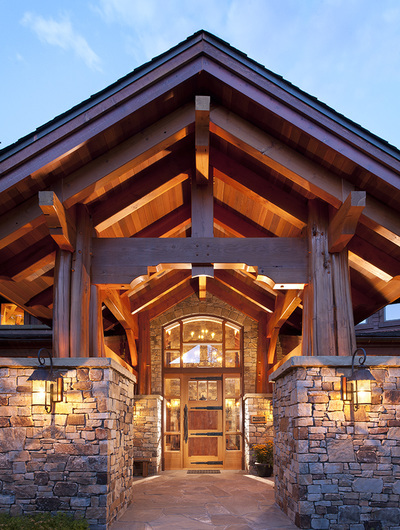 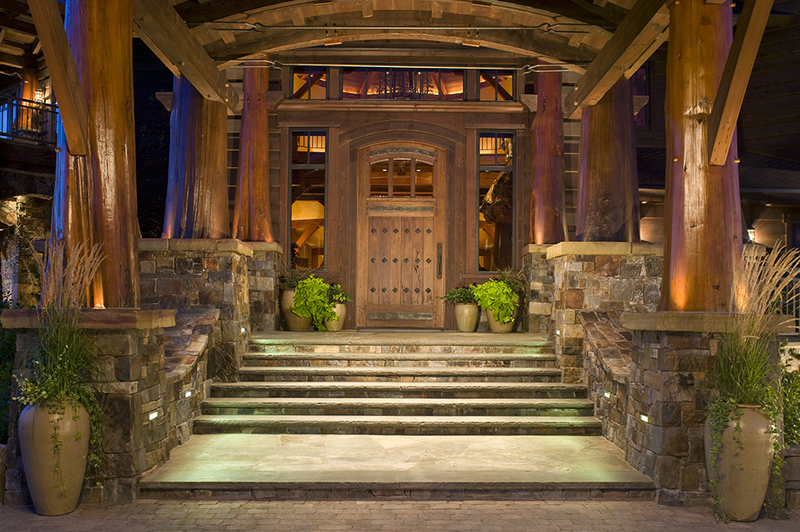 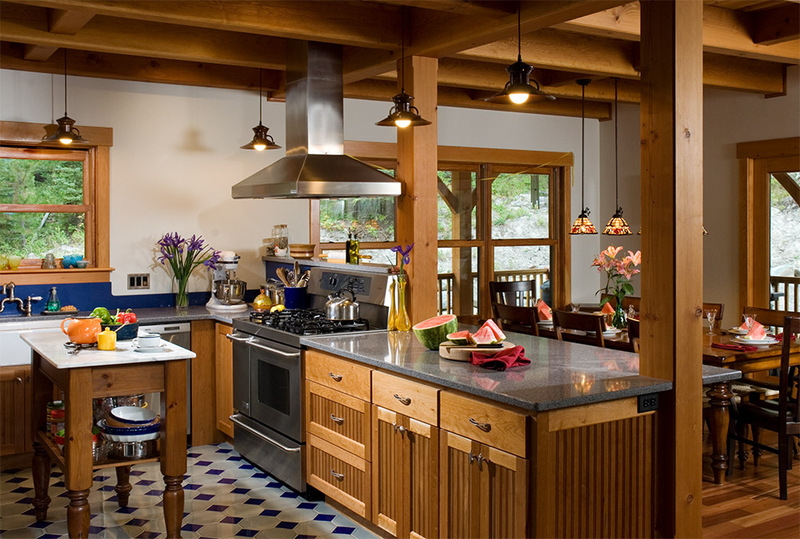 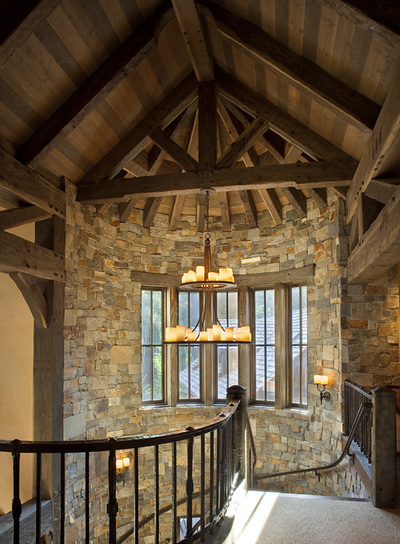 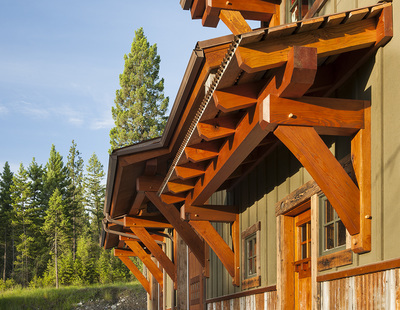 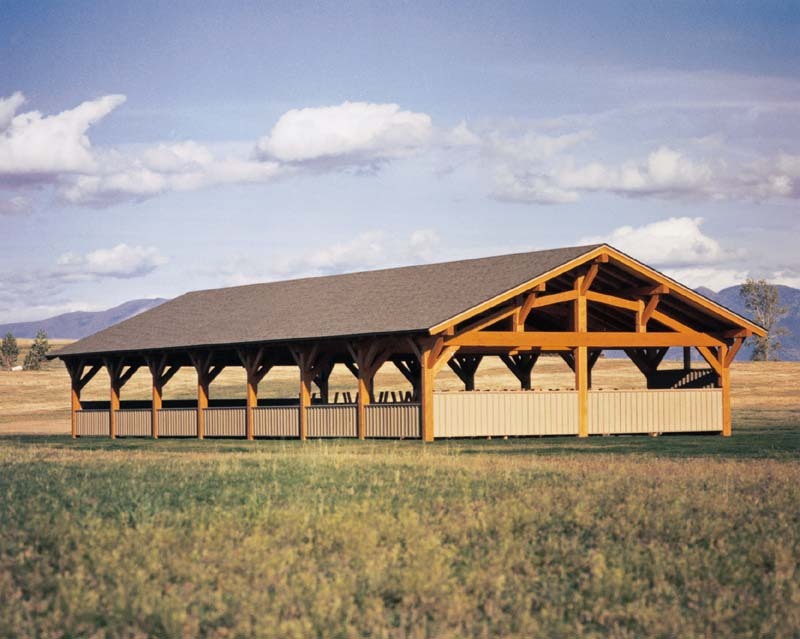 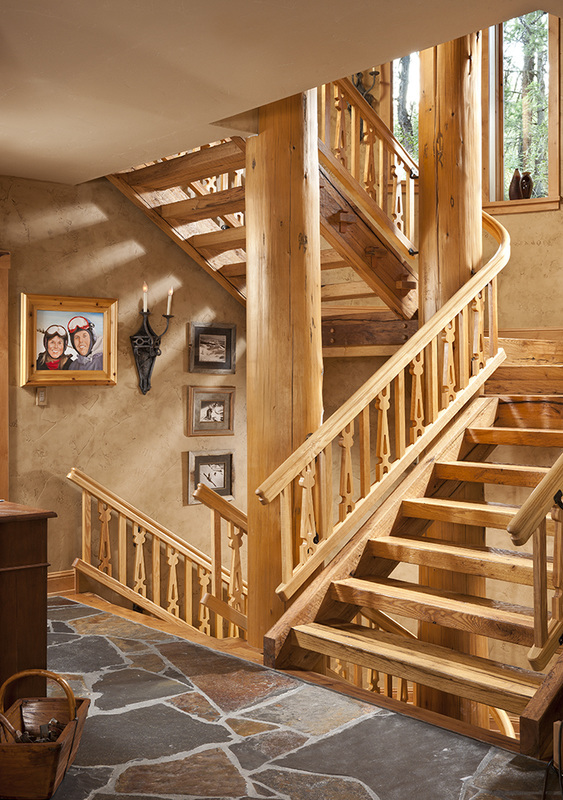 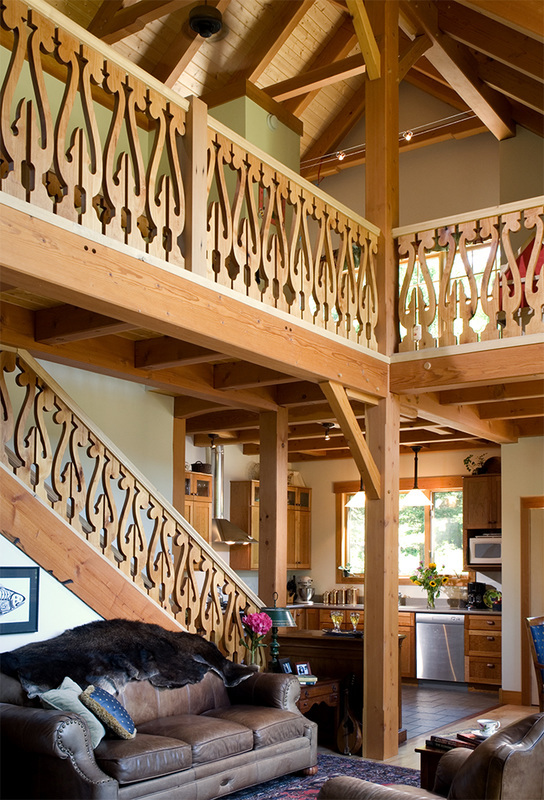 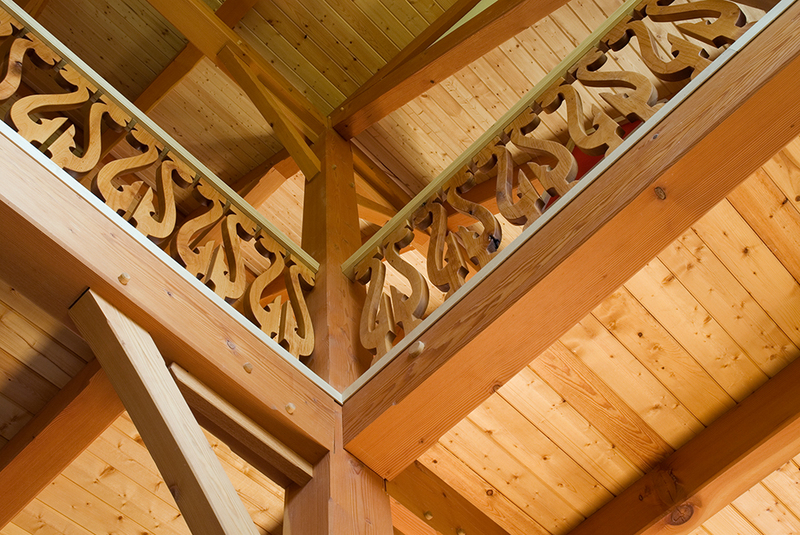 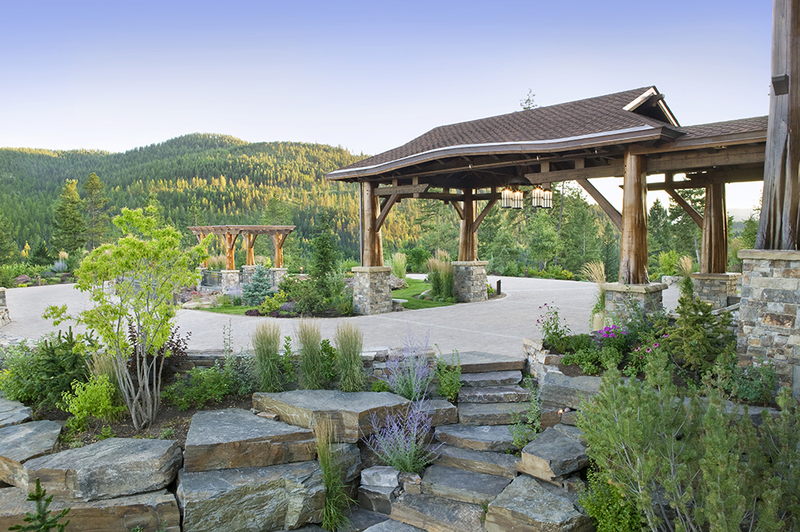 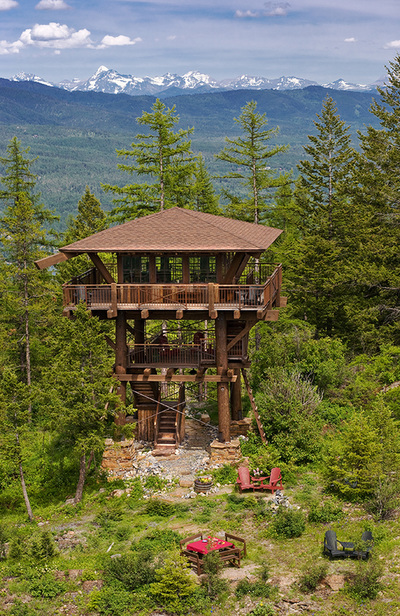 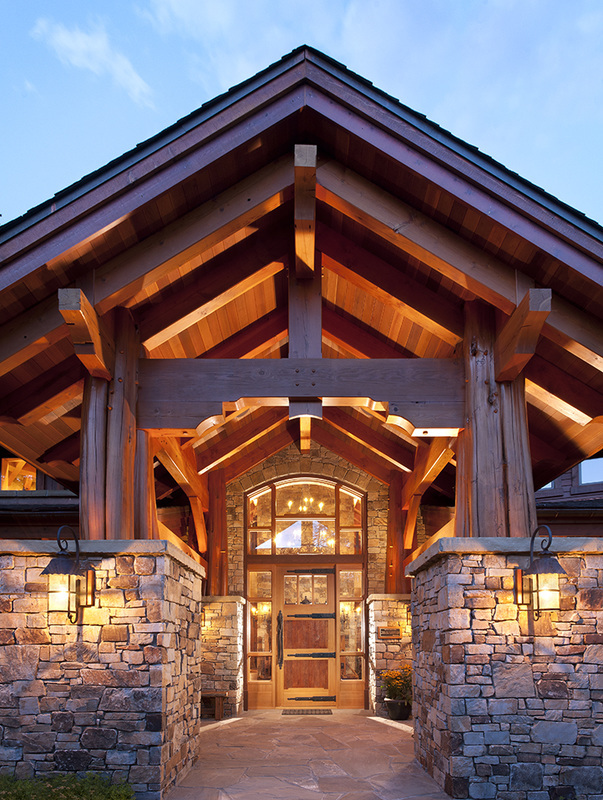 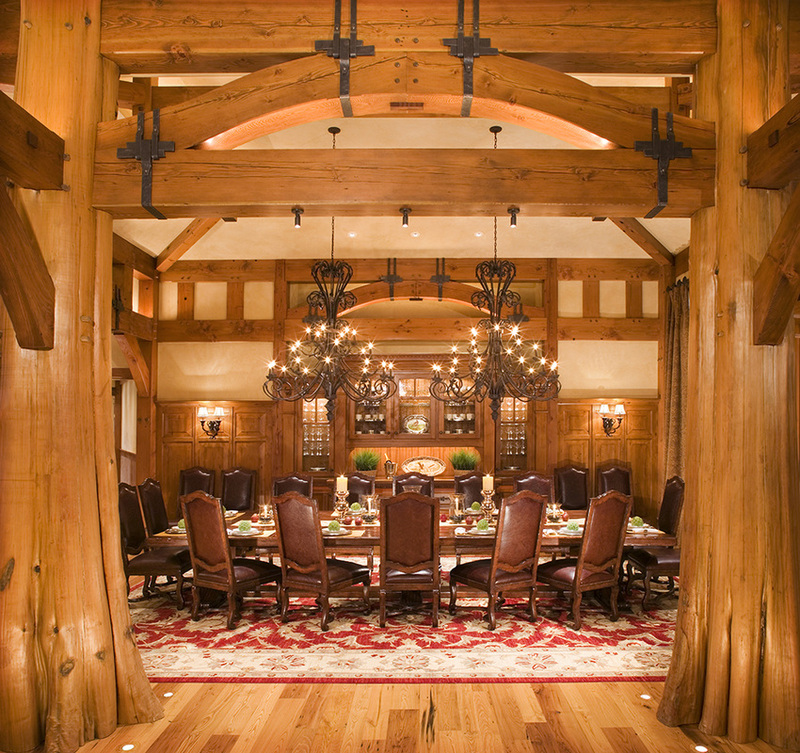 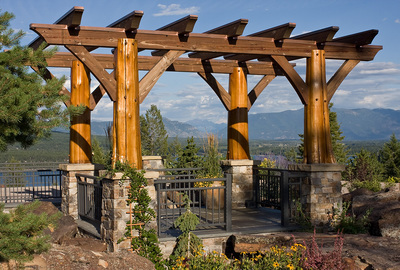 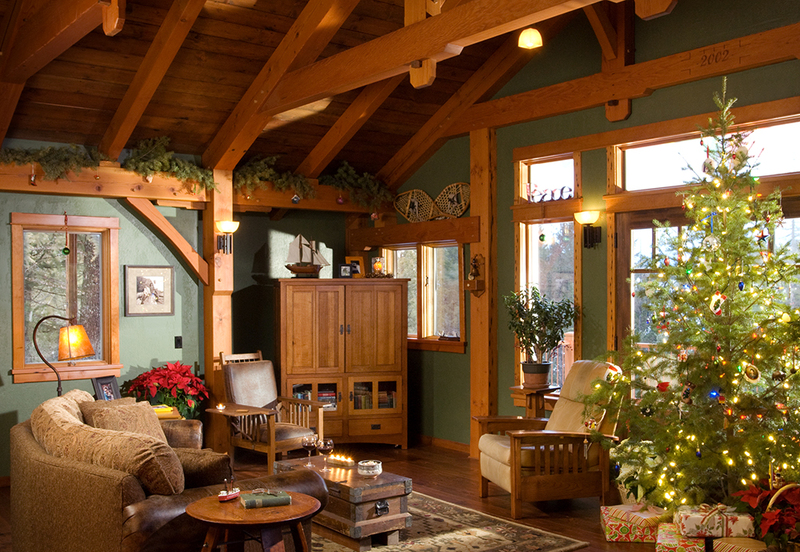 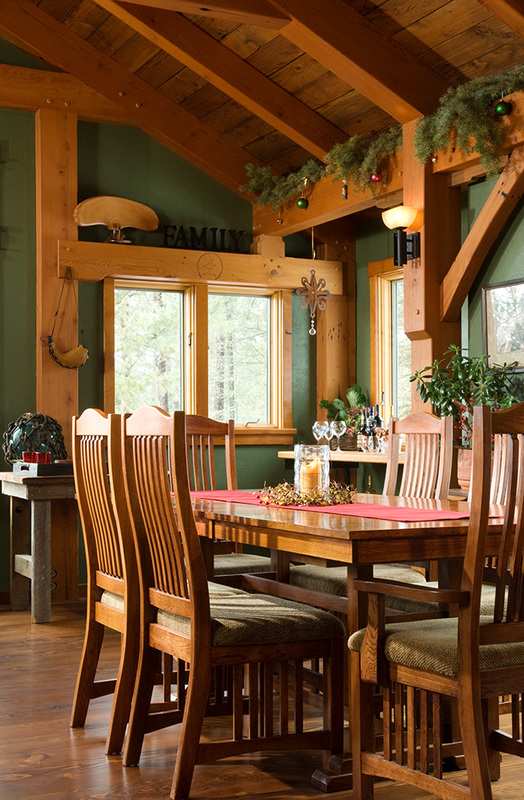 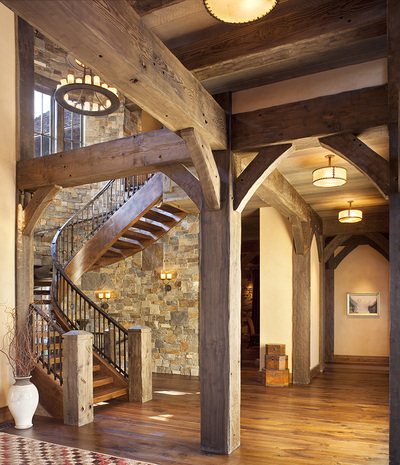 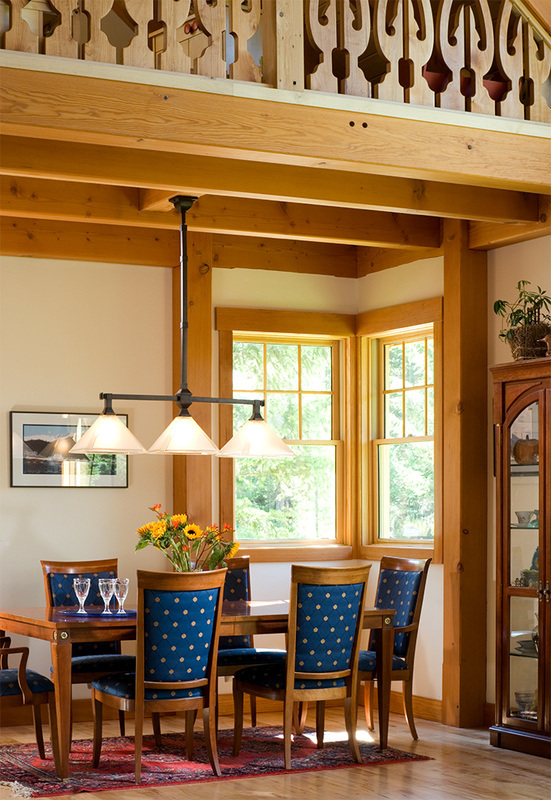 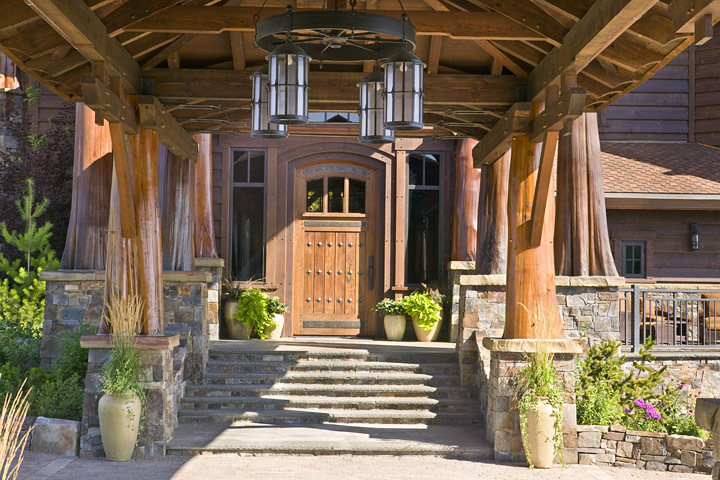 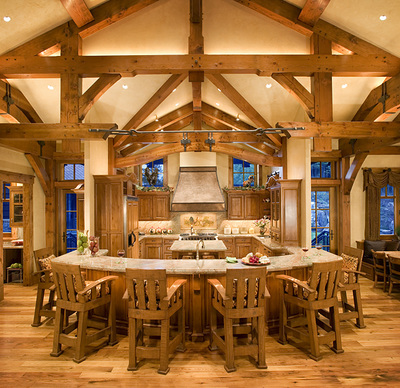 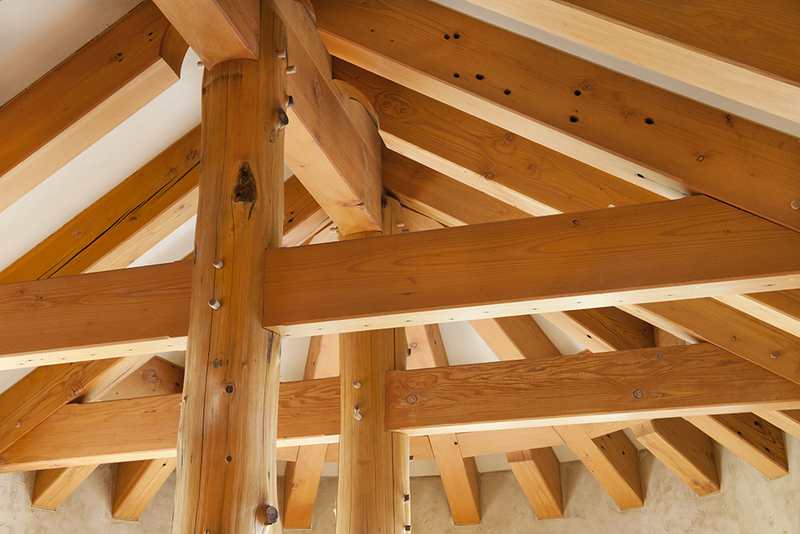 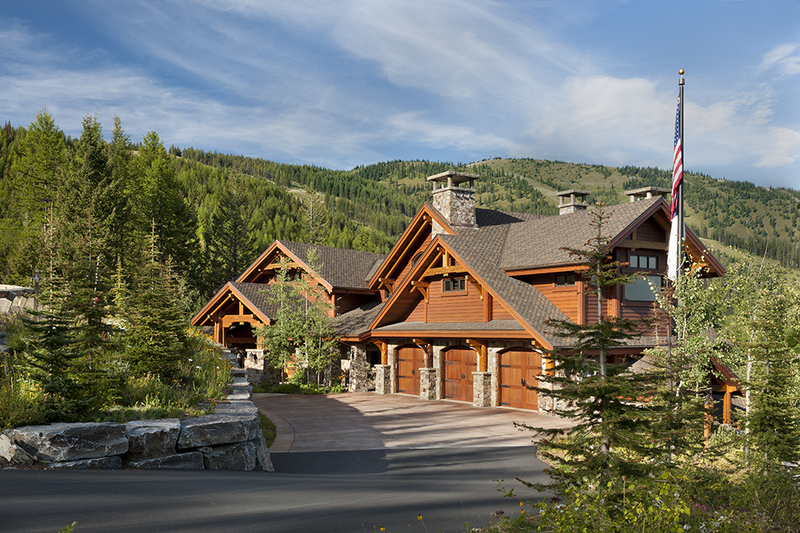 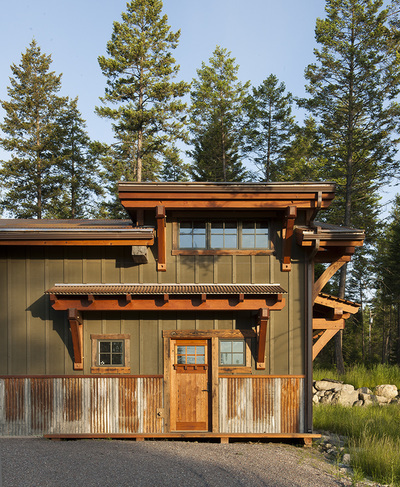 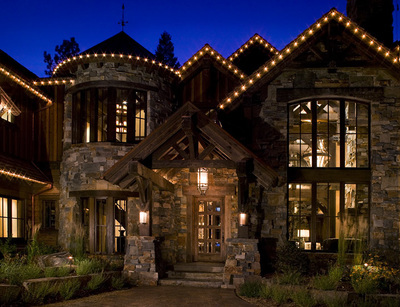 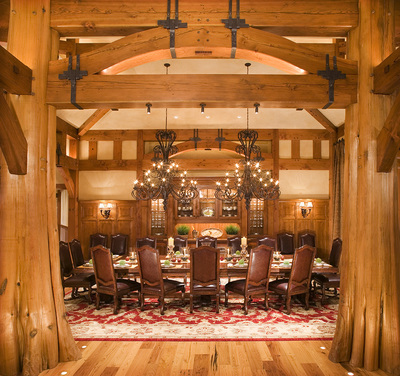 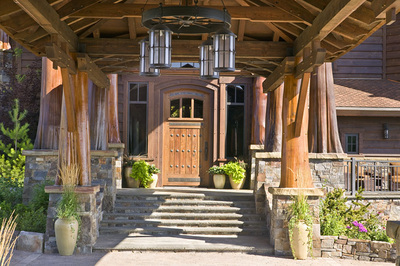 Our repertoire includes complete timber frames and hybrid frames, along with timbered trusses and accents. 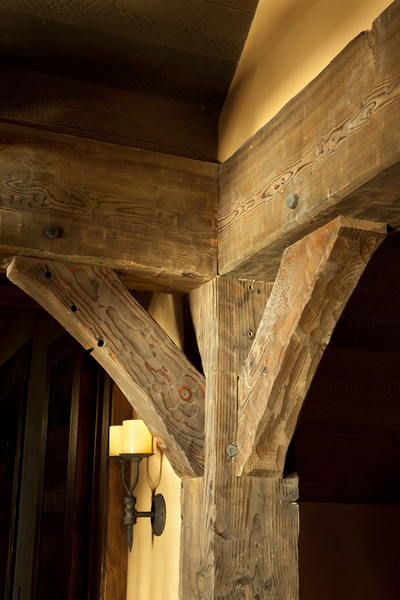 The materials we use include square edged timbers (new and recycled), hand hewn timbers from old barns, plus fir, spruce, pine and larch logs. 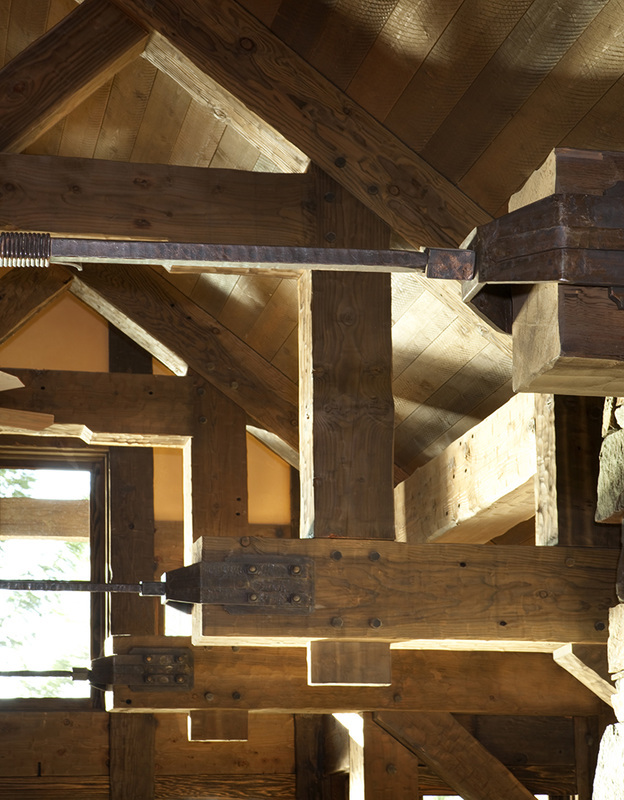 Joined together with mallet and muscle.